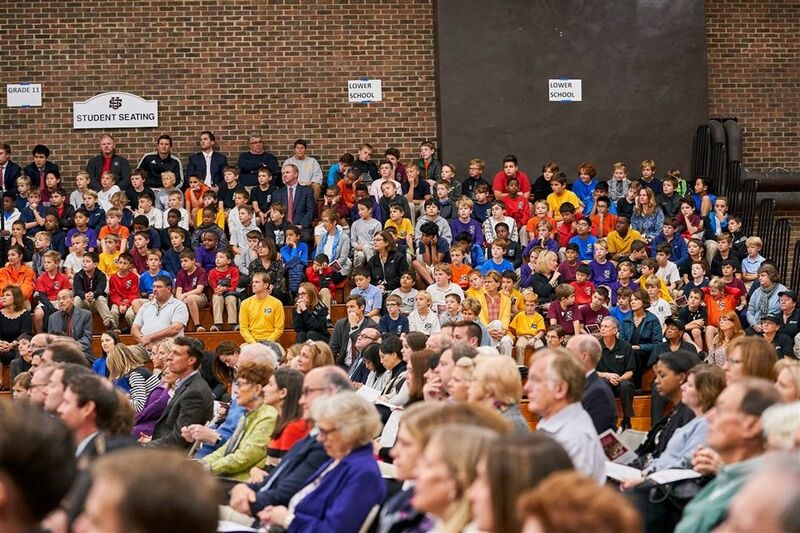 We were excited to welcome The Cleveland Orchestra to University School! 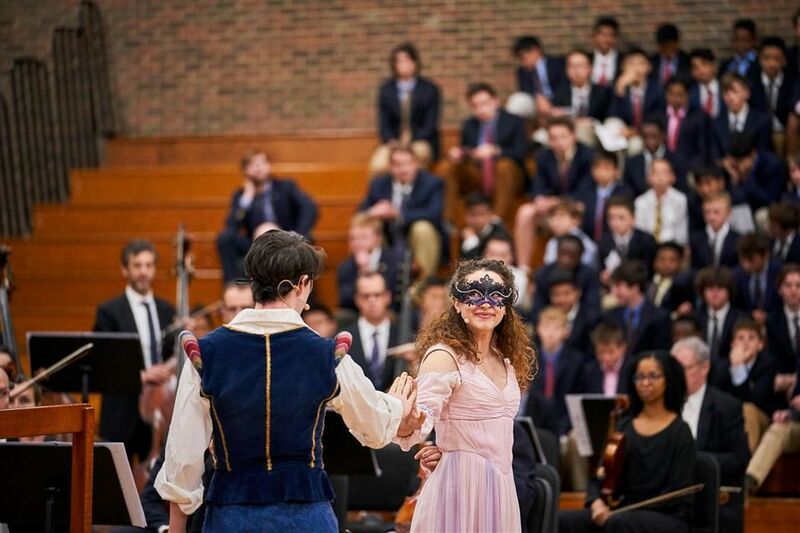 The Orchestra presented Romeo and Juliet in an education concert that combines drama and music to tell the story of William Shakespeare's famous play. The concert featured the musical interpretations of two different composers who set this tragic love story to music: Leonard Bernstein's Symphonic Dances from West Side Story, and Sergei Prokofiev's Romeo and Juliet, Suites 1 and 2. Actors portrayed Romeo and Juliet and their modern-day counterparts, Tony and Maria, from West Side Story. The concert arrangements were made thanks to US Upper School Director of Music Daniel Singer, who recently began his seventh season with The Cleveland Orchestra. Mr. Singer was named Assistant Director of Choruses for the Cleveland Orchestra and Director of the Cleveland Orchestra Youth Chorus at the start of the 2018-19 season. Read more about Mr. Singer's appointments.